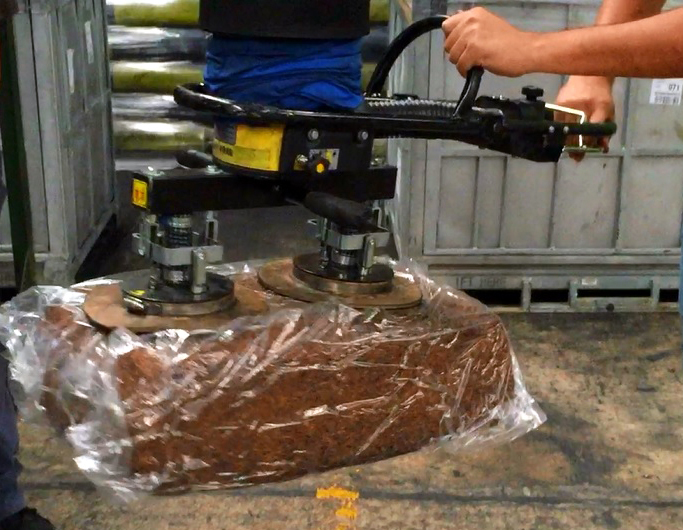 Handling rubber bales is one of the oldest and most popular applications for the VacuEasylift vacuum lifter. Throughout the years TAWI has continuously redesigned and improved this suction foot making it now more effective than ever. Both suction feet on this tool are hinged for optimal function at un-regular shapes. Each suction cup is provided with three internal knives to cut open the plastic packaging around rubber bales in order to get a safe grip. Click here for video and more information regarding VacuEasylift rubber bale lifter.